I have been working with theatre companies since the 1990s, documenting rehearsals and performances in order to help develop permanent visual archives of new productions, to support the promotion of the theatre's activities, and to assist artists both in the development of their roles and in their own promotion through personal websites. 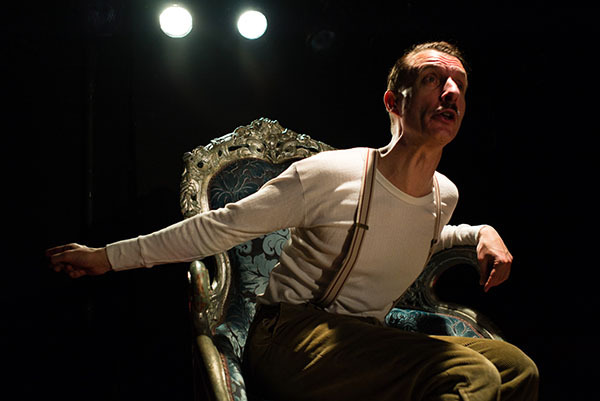 Teatr Lalka is Poland's leading theatre for puppets and humans. 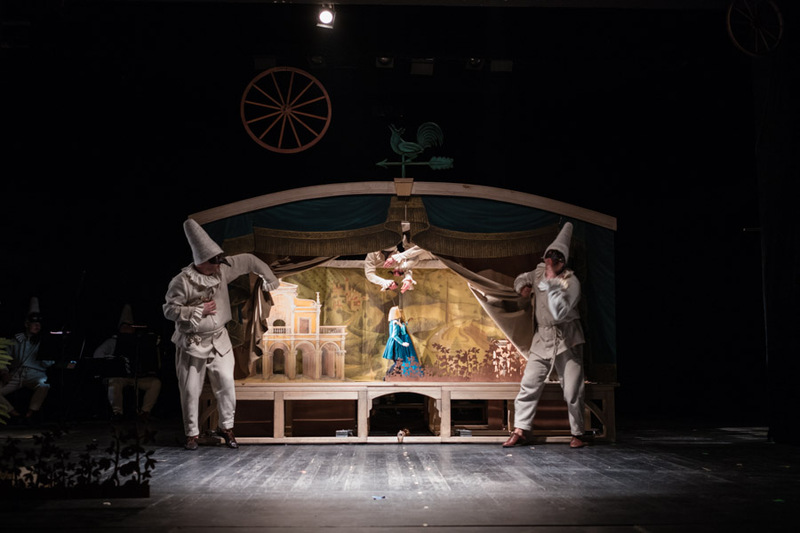 It was originally established in Samarkand as the Blue Almonds Polish Puppet Theatre by Janina Kilian-Stanisłaska, one of a group of Polish artists deported to the Soviet Union after World War II. In 1950 the company had returned to Poland and eventually won the support of the post-war Polish State with the new name of Teatr Lalka. It is now based in Warsaw's Palace of Culture and is currently directed by Jarosław Kilian, who is also the author of the new production The Fine Greenbird which is documented here. A theatrical tale of betrayal, hatred, and a quest for lost happiness. Based on a story by Italo Calvino, Jarosław Kilian's new text brings together supernatural beings, spells and curses, miracles and wonders, and a mysterious green bird. With live music composed by Grzegorz Turnau it's a magical experience. For more images go to The Fine Greenbird at Teatr Lalka. I've been involved in projects with Opera Up Close since 2008 and have covered all their new productions during this period. Working with the company both extensively and intensively has created great mutual trust and made possible an unprecedentedly intimate documentation. A pitch perfect new English language production of Donizetti's Mary Queen of Scots (libretto by Robin Norton-Hale) will be touring the UK during 2019. 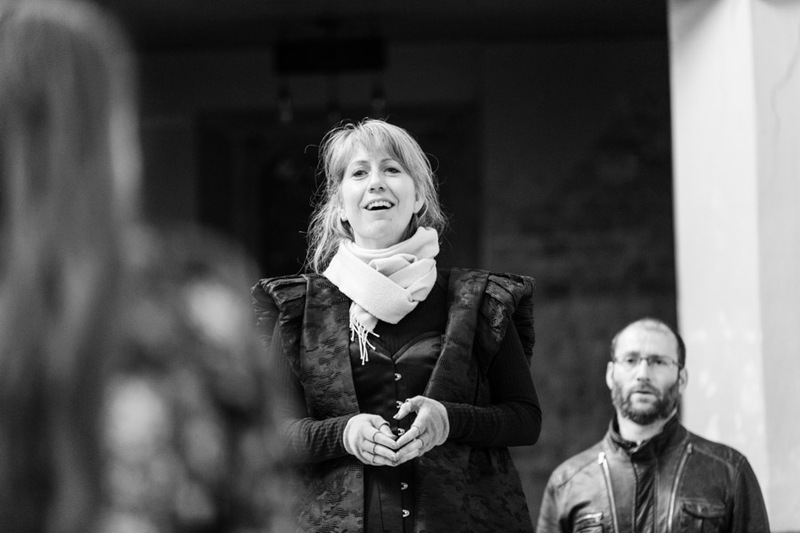 Staged in historic sites such as the Elizebethan Old Church in Stoke Newington and Glastonbury Abbey, this is a great opportunity to get to know a rarely performed but very accessible work. For more photos from the rehearsal cycle go to Mary Queen of Scots - Rehearsals. Their most recent production is the Poulenc / Gide opera La Voix Humaine. This is a glorious one-hander for soprano Sarah Minns. 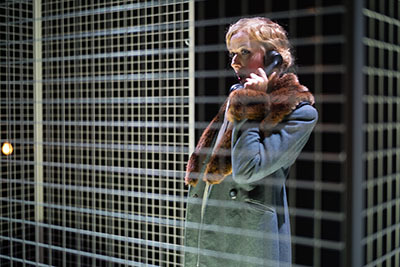 For more images from the piece go to La Voix Humaine, at King's Place. The production of La Traviata shown here opened to critical acclaim in London at the Soho Theatre, and has gone on to be toured nationally and internationally. 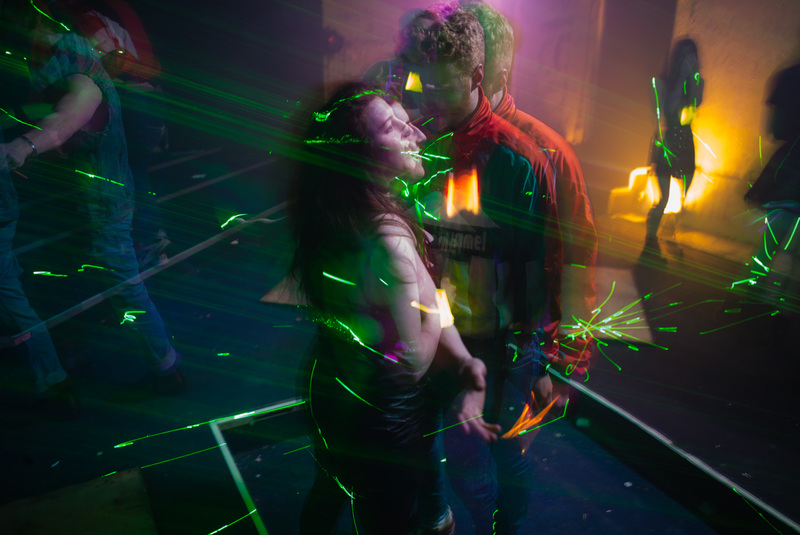 Bitter Pill is based in London and is committed to socially engaged theatre. 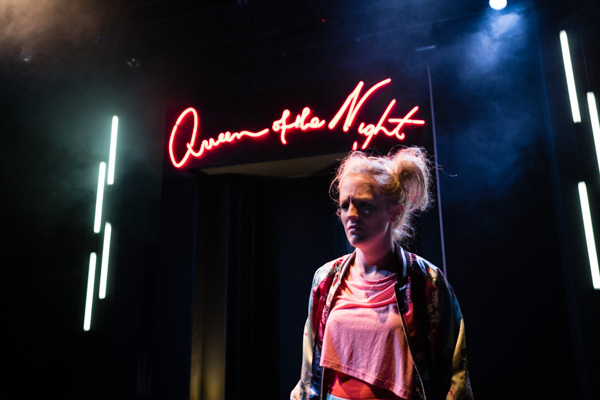 The company has worked with a number of theatres in London including the King's Head, Tristan Bates and the Tabard as well as Xavier Project, a Nairobi based charity. An earlier production: Big Brother Blitzkrieg, is also featured below. Amici is a unique dance theatre company integrating able-bodied & disabled artists and performers. 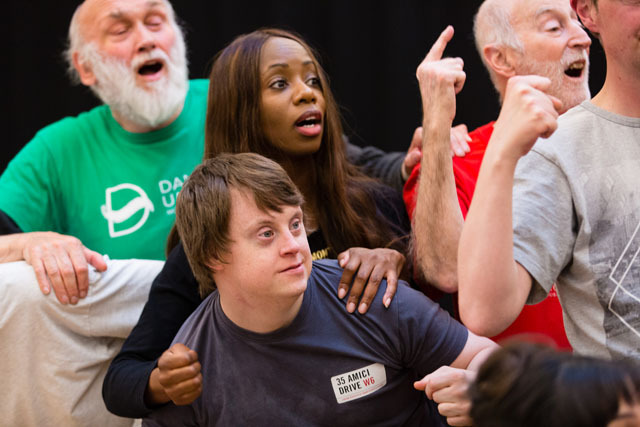 Founded by Wolfgang Stange in 1980, its productions and workshops have had a major impact world-wide, challenging conventional attitudes about disability and the arts. Amici returned to the Lyric Theatre, Hammersmith for a reprise of their productions Tightrope and 35 Amici Drive. These rehearsal images give a sense of what makes Amici such a special company. To see more, go to Amici Dance Theatre Company, Rehearsal. 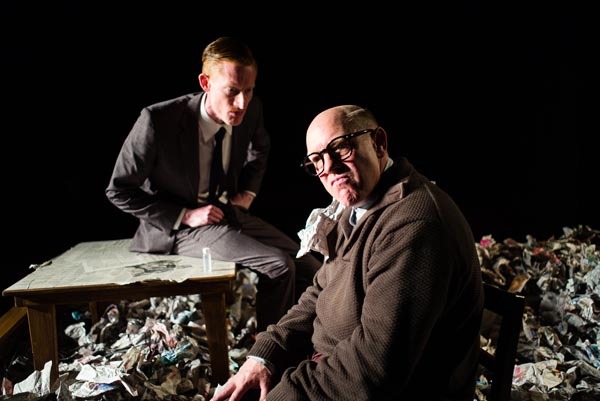 Since 2007 I've worked in close cooperation with the King's Head Theatre in Islington. This colloboration has enabled me to build a unique comprehensive documentations of new productions; a resource which has proved to be invaluable for promotional purposes, and which also provides an archive of seminal work. This new production by Paul Higgins of Puccini's Madam Butterfly continues the King's Head Theatre Company's highly acclaimed opera series. 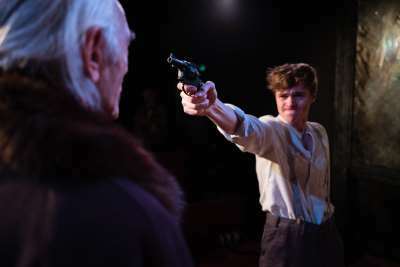 Innovative and moving, this re-telling brings Yokahama to Islington. 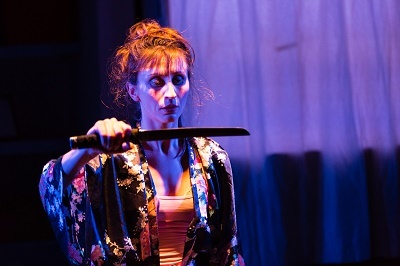 More images can be seen at Madam Butterfly at the King's Head. Big Brother Blitzkrieg - Bitter Pill Theatre company's production of Hew Rous Eyre & Max Elton's new play puts Adolf Hitler in the Big Brother House and leads to some unexpected outcomes..
Trainspotting - a co-production with In Your Face Theatre. I worked regularly with Teatr Polski, Warsaw between 2002 and 2006, mainly as a cooperation with its then Artistic Director, Jarek Kilian. The images here are from Kordian (Dir. Tomasz Borkowski), a renowned Polish Romantic play by Juliusz Słowacki.